For many people honesty is the most important quality in a relationship. Then there are other people who prefer not to know about something that may upset or displease them. The fact is, that as so much communication is done non-verbally once there is lies or a secret in a relationship, often the dynamics change subtly. Being honest, even in difficult times, gives everyone the true information from which decisions can then be taken. It treats all involved parties with respect. Clearly there may well be times when some information should be modified, as with young children perhaps. But in most cases people appreciate being told the truth, even when it is painful. White lies are an interesting area. The ‘does my bum look big in this ?’ question and how to answer it appropriately can require tact and diplomacy. Similarly, being quizzed about our friends’ partner and what we know about their behaviour can be a hard question to answer. At times we have to consider what we are being really asked and how the person will react to the answer. They may not want to know the truth. It is a difficult dilemma if we know something unpleasant about another person. For example, if someone has died do we really need to reveal the truth, as we know it, about them ? Sometimes we have to accept that there is a bigger picture that we are not fully acquainted with and it is kinder to keep our story to ourselves. Let others keep their special memories of that person. Also there is an arguement that sometimes our own indiscretions should be kept to ourselves, rather than brought out into the open where they could cause tremendous harm and disruption. Sometimes it may be important to weigh up what we have done and what would happen if we were to come clean about it. There are situations where sometimes the greater good has to be thought about – who else has to be considered, how are things going at the present time, what would be the likely outcome if all this were brought out into the open, and is it worth it ? Sometimes living with the shame or guilt can be difficult, but occasionally it has to be done. It can be treated as our penance or payback. Our role is to come to terms with what we have done and make amends for it, even if the other person has no notion of our shame. We have to weigh that up against trust. Trust is a huge part of the honesty stable. Once someone discovers that they have been deceived or lied to it is often difficult to recover trust. It can take a long time to build trust in a relationship, and it can be wiped out in a moment. Living an honest life and being true to ourselves and our relationships helps to maintain a clear conscience and a healthy life, free from a lot of stress and tension. We communicate better and more openly about our lives and the situations that we encounter, rather than keeping up a pretence that everything is fine and that we are coping well, if it is not the case. Sharing the ups and downs of life helps them become more manageable when we know that we are not alone in dealing with them. And it avoids the stress and deception of having to conceal any problems that we may be encountering. Maintaining ones integrity and living with respect and consideration for others is the most honest way to live. But as we are human beings, sometimes the standards slip and we have to navigate away from a messy situation to a place of compromise and reconciliation, hopefully a little wiser as a result of the experience. Wiser about ourselves and also wiser about how strong others can be when they are included and treated as a valid partner in our relationship. That is the value and importance of being honest. 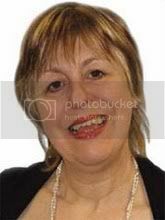 Susan Leigh is a long established Counsellor and Hypnotherapist, with over twenty years experience. She is a member of several professional organisations and is committed to a programme of Continuous Professional Development. She started the practice in 1988 with her husband Frederick, and after being widowed at the age of 39, took over the practice full time. I'm here from the blog party and I chose your gift as one of my top 3. I am your newest follower too. I would love for you to come visit me sometime at http://www.onthesearchforhiddentreasure.blogspot.com. Hi there…not sure how I have missed your blog but it is great! Visiting from the UBP. I am a registered dietitian blogging mommy so this is right up my alley…I'm now a follower! Feel free to visit me anytime!